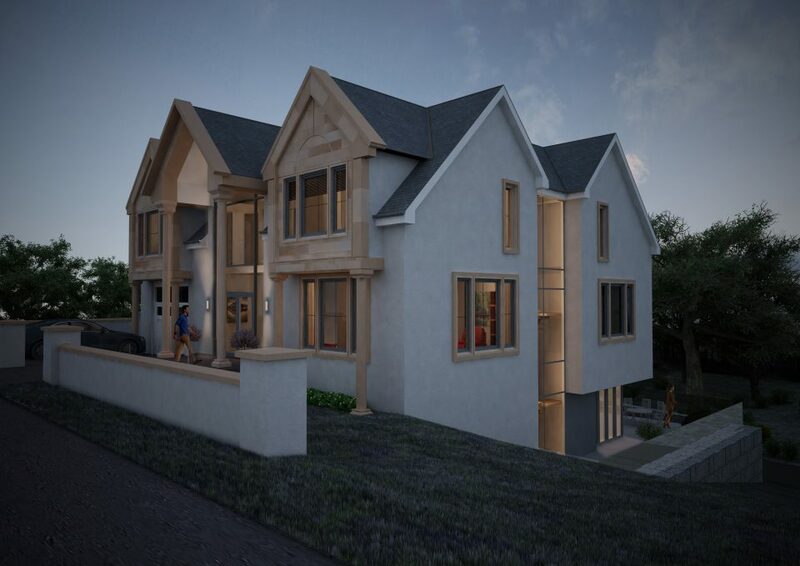 A planning application was submitted this week to South Ayrshire Council for a luxury villa on the outskirts of Ayr. The application was submitted after a pre-application consultation with the council. 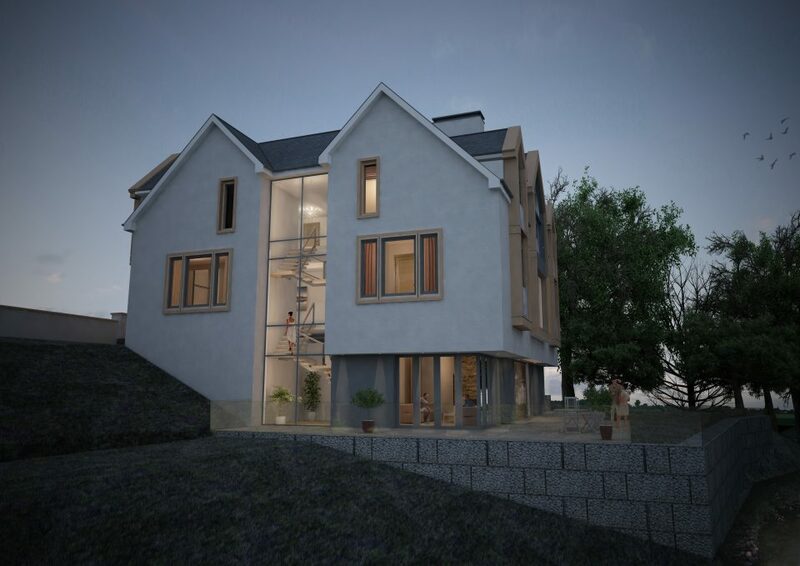 The 5,000sq.ft dwelling, for a private client, is situated in a secluded sloping site and comprises three storeys to the rear and two to the front. The dwelling has been designed to maximise light through the public spaces and deep into the centre of the villa with feature windows and a central roof light.